Sometimes, we get really busy in life or just seem to forget the little details in our everyday routines. Additionally, it’s easy to get caught up in a project or a good TV show and forget about an important event, to take our pills or pay a bill. Thankfully, we have apps that can help us with any of these issues and then some. Check out our list of the best reminder apps for the iPhone and ensure that you will never forget to do or pay something again. Do you have trouble remembering the birthdays of your loved ones? If yes, then here’s an app that will help you remember their birthdays and be the first to wish them a birthday greeting. Additionally, you will never again forget your spouse’s birthday and suffer the consequences. 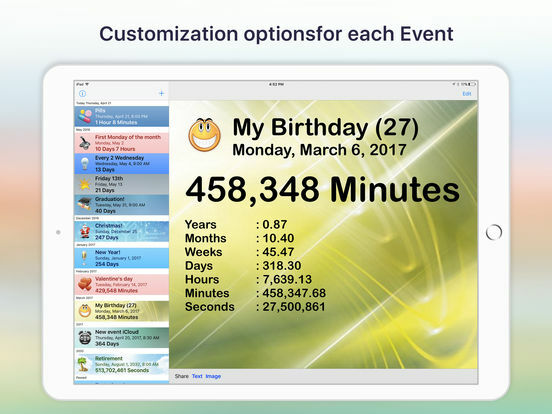 Keep track of birthdays for friends and family, send birthday message or gifts through the app, get reminders the day of or ahead of time and more. There are in-app purchases for subscription options. Happy B'day! 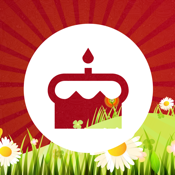 - Birthday Reminder app review: no more excuses for forgetting! 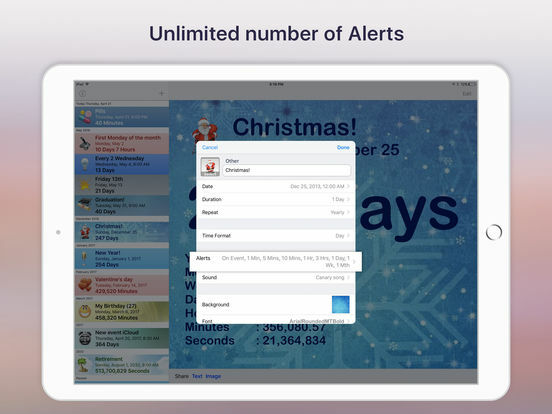 This app has highly customizable alarm features like intermittent pop-up messages and a pretty persistent auto-reminder called the “Nag Me” function. 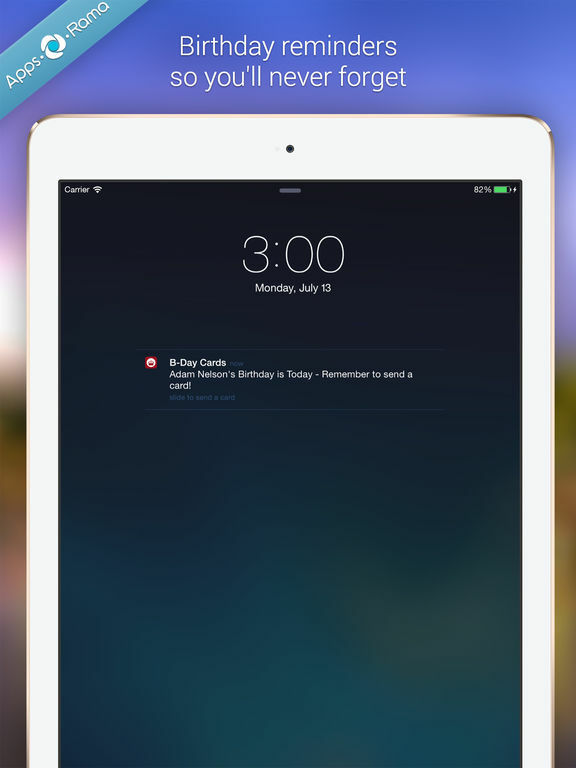 In just a few taps, you can set up a reminder and ensure that you won’t forget something. 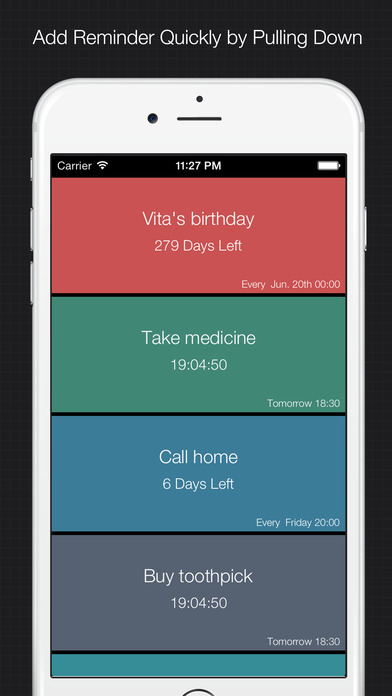 Its combination of reminders and timers makes this app useful in a variety of ways. Create reminders for one time or throughout the day. 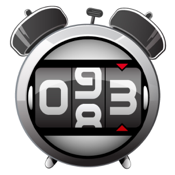 Set up timers for up 999 hours, pause and resume timer, countdown and count up timers, queues and more. In-app purchase for extras. 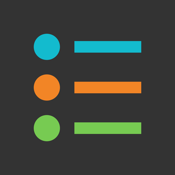 To Do Checklist is the organizational tool you’ve been waiting for. 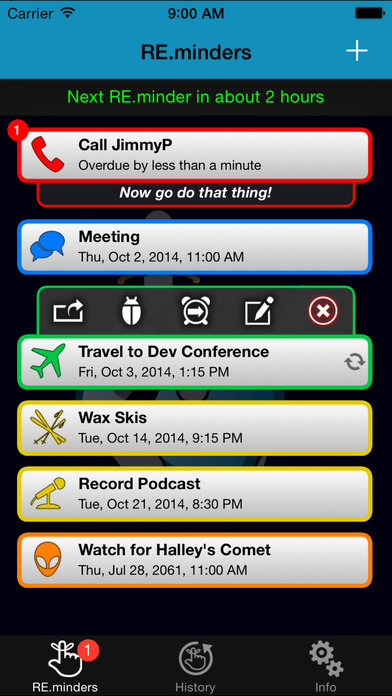 Use it to create different tasks and group them into lists; perform task sync automatically across several devices; share tasks with people via Facebook and email; receive shared tasks; see your tasks on a map; get time-audible pop-up alarms; and use an encrypted channel during the sharing process. 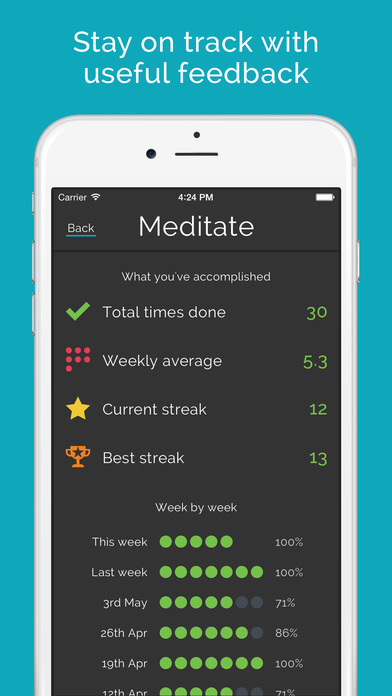 Get into the habit of using this app and see how it will help you increase productivity. 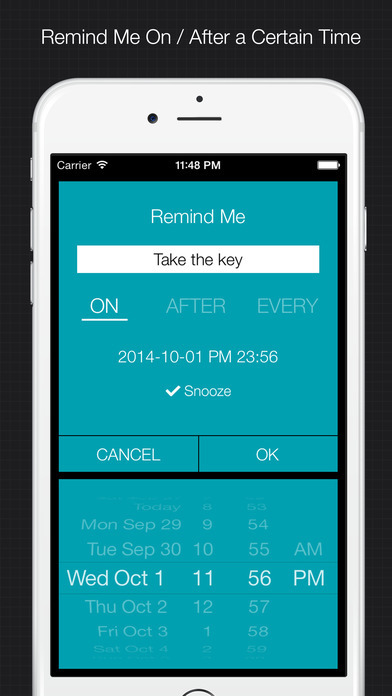 This is a solid reminder app, with an easy-to-use interface. Are you forgetful when it comes to taking your pills? Some medications must be taken at certain times of the day and missing a dose can have serious consequences. 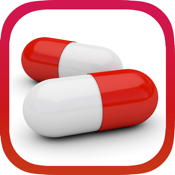 Pill Reminder can help you to remember to take your meds. 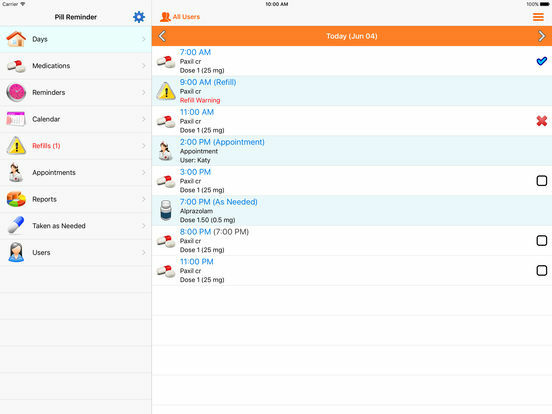 Create any kind of recurring reminders and track the number of pills you have left so you know when to call the pharmacy for more. The app even sends you a reminder to call for a refill! 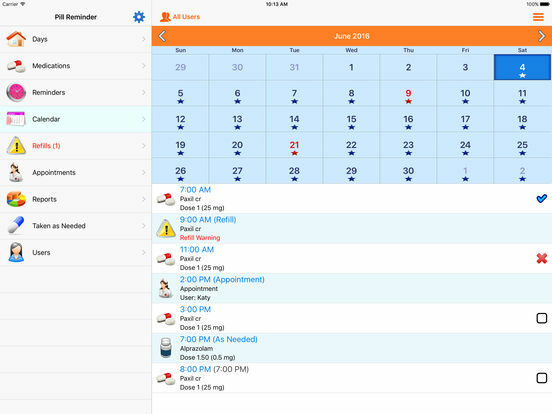 You can put in reminders for appointments, email reports to your healthcare provider, and it supports multiple users. 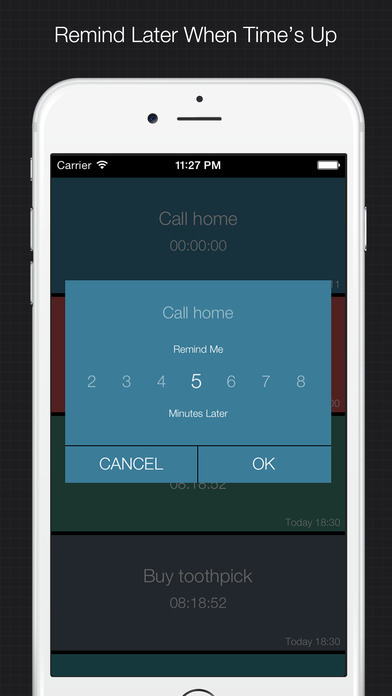 XReminder is a simple but powerful reminder app for iPhone you can use whenever you have something you need to remember. You can set it to remind you on a certain day, ask the app to remind you after a certain number of hours and/or minutes, ask it to remind you on a repeat basis, and more. Hit Snooze and it will remind you every minute. 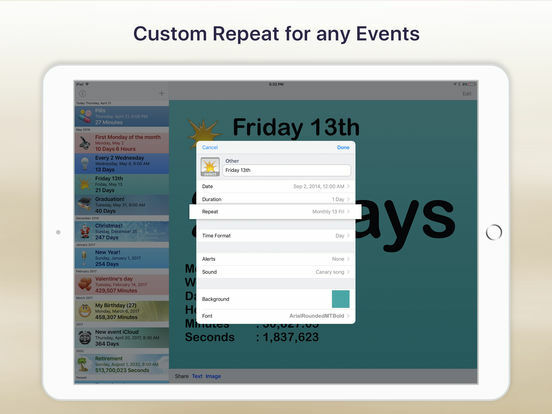 The user interface is intuitive: pull down to add a reminder, pull up to see Settings, and swipe reminders to edit or delete. This free app delivers on its purpose. Set a countdown to just about anything that you would like a reminder for. 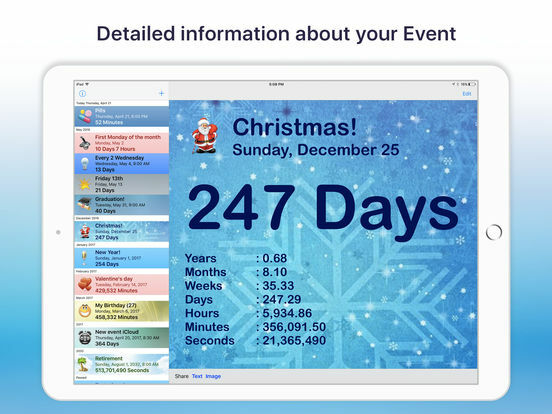 You can set countdowns for numerous dates and monitor at the same time, sort them, select units to count back in, customize the countdown, select icons, set number of alerts and repeat periods, set push notifications, choose alert sound and so much more. It’s surprising the amount of control you get with this free app. 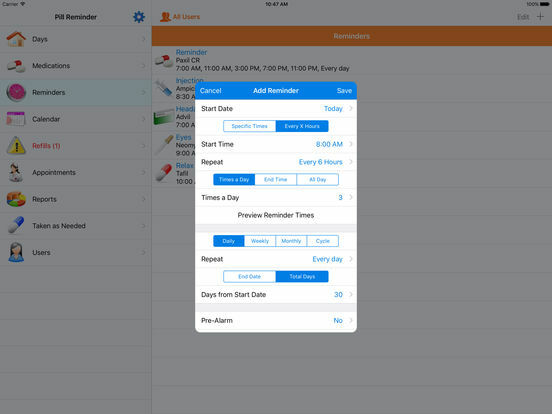 From an easy-to-use interface to a wealth of features and functions, this app will meet all of your reminder or countdown needs. 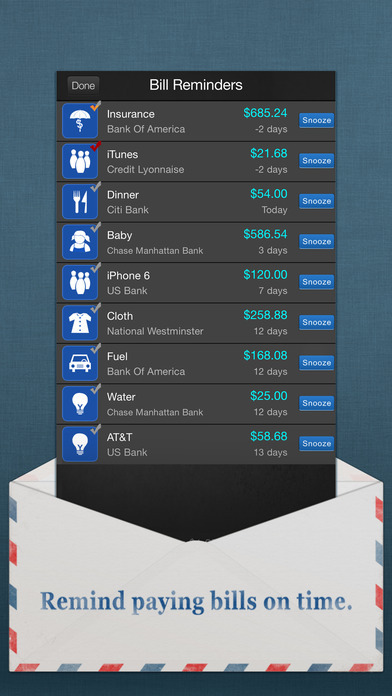 Keep track of your bills and their due dates with this very useful app. 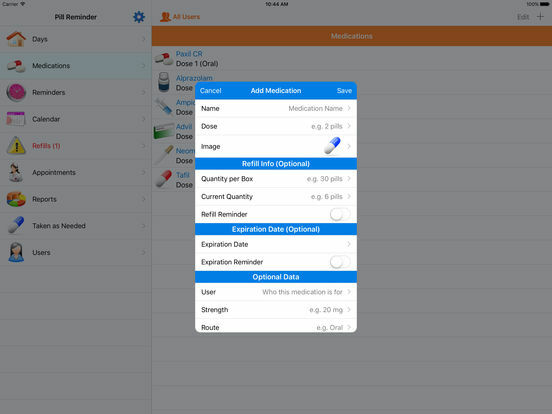 The design of the app is clean and easy to use. Add the bills you want to manage and provide pertinent details like amount, category, due date, reoccurring, added notes and more. Set reminders for when it gets close to the due date. Use the preset categories or create your own. A passcode function will help to protect your information. 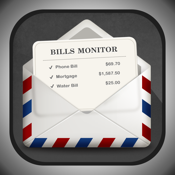 There’s a calendar view of your bills, a history of bills, Cloud based backup, a search function and this app also makes it easy to send the information to your financial consultant if you have one. 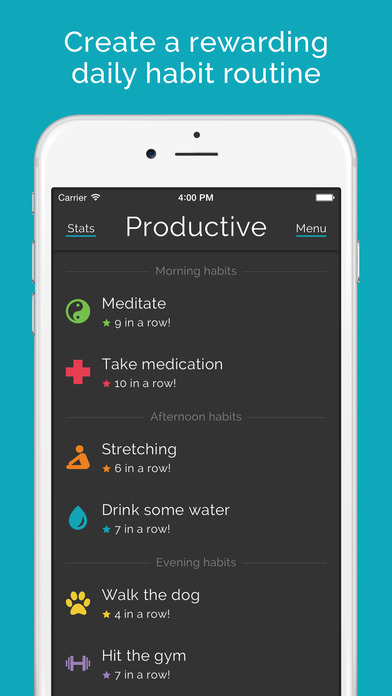 Build good habits and become more productive in your daily life with the help of this app. Plan your day by scheduling habits throughout and even repeat the habits if needed. 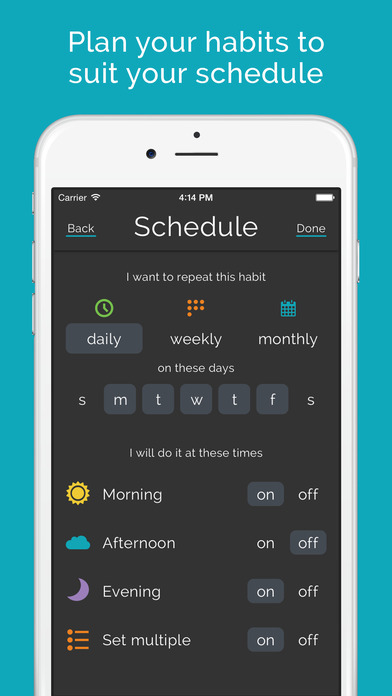 Customize when and how frequent you want the habits. Build motivation by completing your habits and tasks. Increase your focus by concentrating on the current habit at hand. Set reminders for each habit so that you won’t forget. 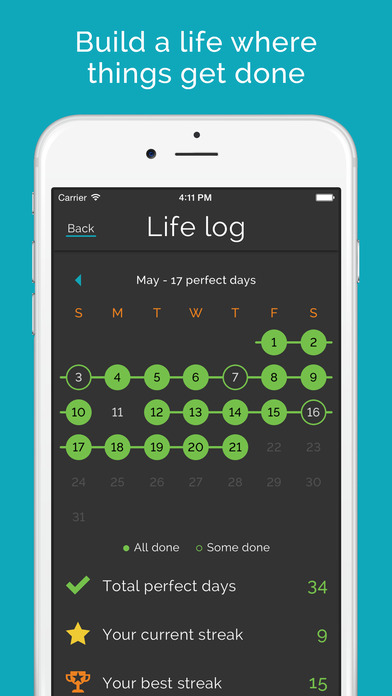 Additionally, this app also has some cool features like a progress calendar, stats, notes, a nice theme, passcode for privacy and more. 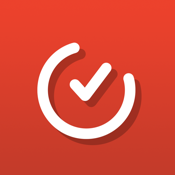 This app targets those of us who are unable to successfully complete our to-do lists for whatever reason. 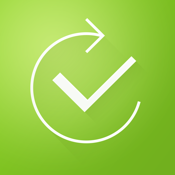 In a few quick steps, you can create a reminder so that you can get any of these tasks done. Delay or reset your reminder, set a reminder to bug you at whatever frequency you need until you shut it off, or even send a reminder via your email. Add notes to a reminder, view history of reminders, custom categories, VoiceOver support, different languages, preset sounds to choose from and so much more. 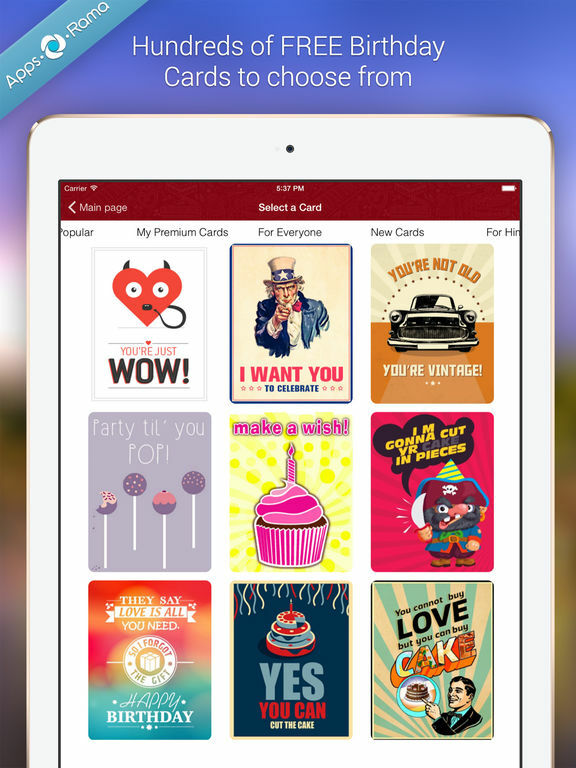 In-app purchases are available to gain more features and functions. Raise your hand if you have difficulties remembering a friend or family member’s birthday. 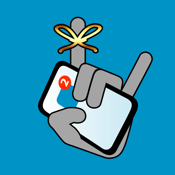 Now, put your hand down and immediately download this app. 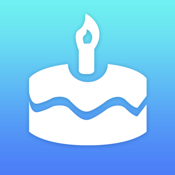 It’s touted as FaceBook’s number one birthday card app and it will help you to stay on top of your loved ones’ birthdays. 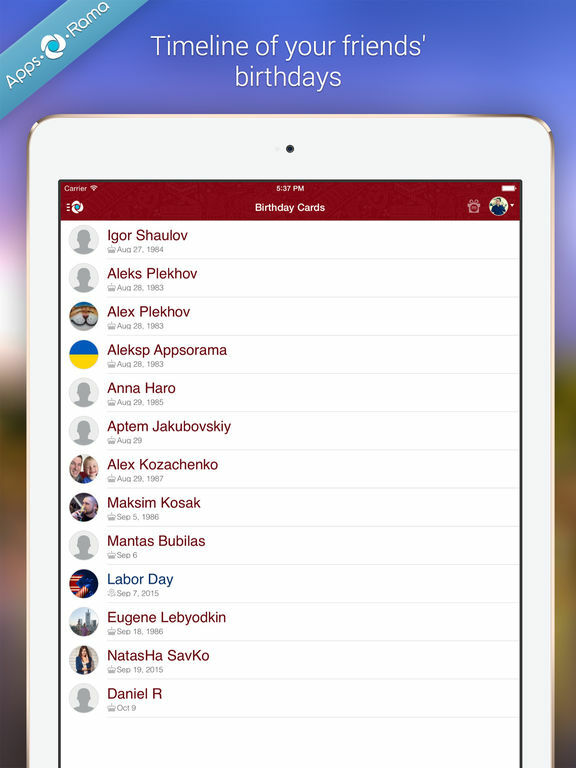 You can view your friends’ birthdays in chronological order for the past, present and future. 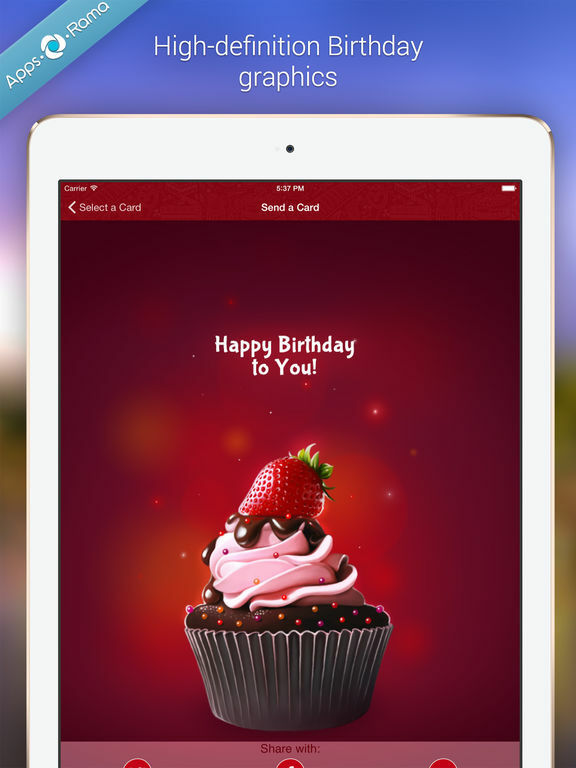 Get reminders via push notification so you can wish them happy birthday or send them a card through this app. 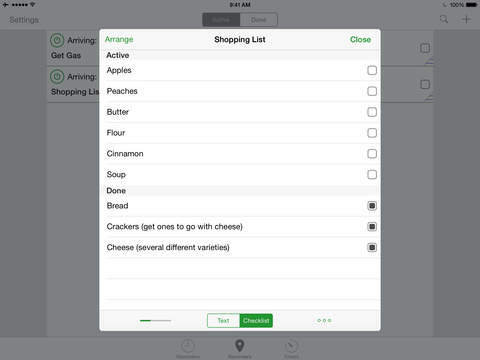 There are in-app purchases to access some features. 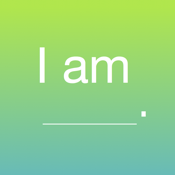 This app is designed to help you reaffirm yourself and to create a more positive way to think throughout the day. Work on eliminating negative thoughts and replace them with positive ones. Create positive thinking patterns by sending positive reminders throughout the day. Encourage, affirm and rebuild a positive you. There are numerous daily intentions and you can set reminders throughout the day or view them when needed. Build your self-esteem, stop the self-destructive thought patterns and begin to enjoy the new you.